Selling with Halls couldn’t be simpler. For further details and guides, click the FAQs below or contact us with a query. How do I get my items valued? We have several methods of providing advice about your items. Go to our Auction Valuations page. 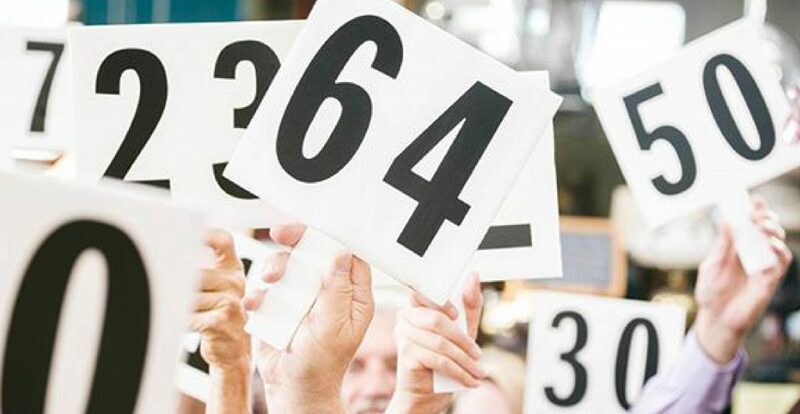 We do not charge for an auction valuation and there is no obligation to sell with us. We hope, however, that you choose to consign your art and antiques with Halls. Insurance and Probate valuations do carry a fee. See our Probate & Insurance Valuations page for further details. Small items can usually be collected by our team of valuers either during a valuation visit or at another arranged time. For larger items and collections we can recommend a specialist carrier for you. What do you charge for selling my items? We charge a commission which is deducted from the hammer price when your item sells. For our specialist auctions the fee is 15% + VAT + £10 for photography and marketing. There are no additional fees and no unsold lot fees. What is a reserve and do I need one? A reserve is the lowest price an item can sell for. Your specialist valuer will advise on the best reserve to set and this can be fixed or with discretion, usually up to 10% or nearest bid increment. The reserve cannot be above the bottom estimate. Some items are offered without reserve and in such cases we will attempt to achieve the best price on the day. Many thanks to you and your whole team for selling our goods successfully today! All items were sensibly estimated, accurately catalogued, nicely photographed and well presented in the salesroom. All these actions were pivotal to the result. From meeting the specialists at the valuation day in Stockport through to selling the vase at their auction salerooms in Shropshire we found Halls Fine Art to be efficient, informative and gave a wonderful service from start to finish. We are extremely happy with the result of the sale and will definitely sell with them in future. I’d never bought at auction before and to be honest found the idea of it incredibly daunting! I didn’t need to be worried though. Your team made the process so exciting and held my hand through telephone bidding to making the payment on my dresser once I’d won! I’ve now got the bug. Thank you for taking me from nervous bidder to experienced bidder!